While traveling with another Navy couple in 1974, my husband and I visited the British Officer’s Club in Hong Kong. 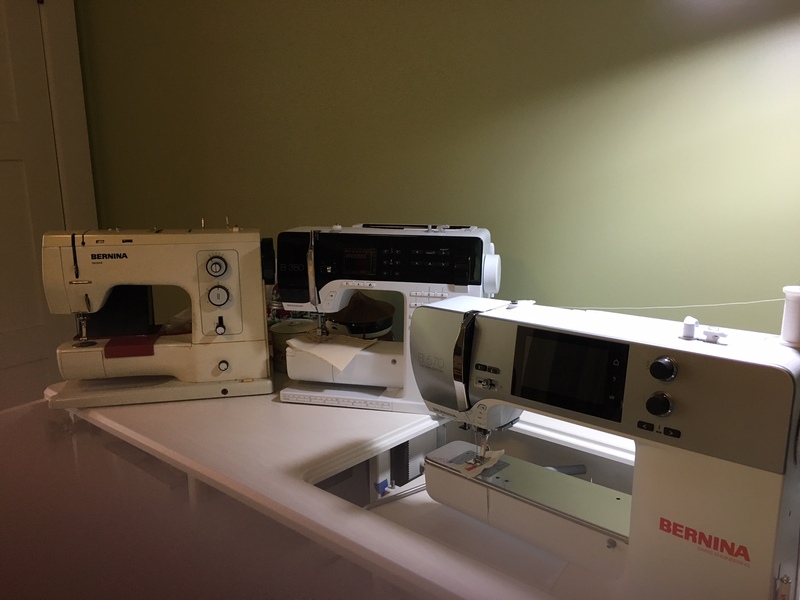 A Bernina vender at the club introduced me to the Bernina 830. He did not have to work too hard as the machine was $250 and worked like a dream. Every time I opened my mouth or asked a question, he sweetened the deal with another presser foot. (To this day, I don’t know what half of them do,) We continued our trip flying TWA to Bangkok and my 830 traveled under my seat. On arriving in Bangkok, the immigration authorities thought I was smuggling machines. Sales slips, travel companions and I had a job convincing them that I was a Navy wife who had bought a new machine for my own use. Leaving Bangkok was not easy either. TWA insisted that I put the machine in baggage and I insisted that I was not as I had seen how they treated luggage. They were adamant that it would not fit under the seat and I was just as adamant that I had flown into Bangkok with it under my seat. After much haggling, they let me board with the 830 and she slid right under the seat. Her travels included Guam, Virginia, Ohio, Louisiana, California and Mississippi. She worked hard over the next 40 years and was joined by a 380 in 2013 and a 570 in 2018. Previous Previous post: 44 years and going strong! I was 1975,I think, when my Mom gave me my Bernina 830. I didn’t know what a wonderful gift it was at the time. 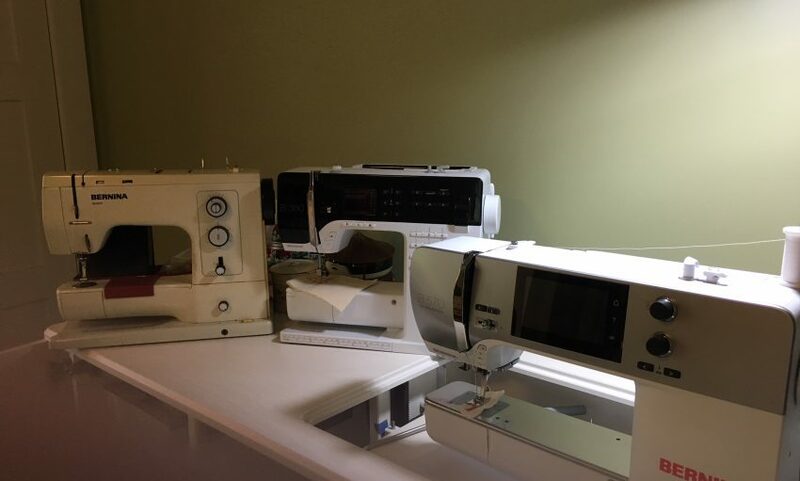 It has been the best sewing machine I could have asked for. It has served me well making cloths, mending and the last 10 years quilting. I am broken hearted after getting the call the call last week that the motor is not repairable but after investigation I have found what looks like will be my new friend. The 330 seems to be the new Bernina for me. I went and tried it out today. It has a nice feel to it and reminds me of my 830. Thank you Bernina for making such a list lasting sewing machine.